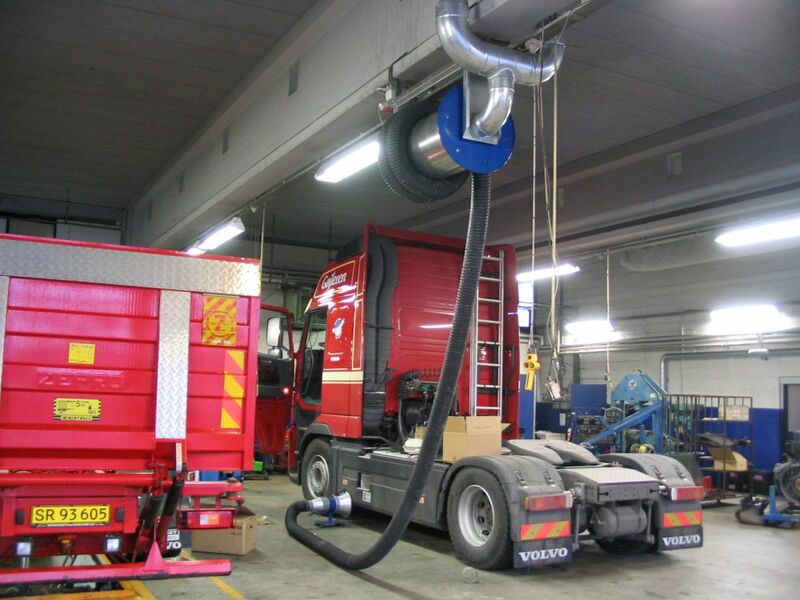 Hose coils allow for efficient aspiration of gas exhaust from cars, lorries and construction machinery alike. Standard hose coils come with a double suction nozzle with a valve, but they are also available with bellows. Standard hose coils are also available with a special nozzle used for aspiration of welding fumes and other special industry tasks. The Prima-vent hose coils are available in various sizes customised to fulfil the needs of the customer as well as all current legal requirements. Our hose coils are available in standard colours blue and grey but we are obviously happy to produce them in a different colour for you. Electronic hose coils come with a CE connection plug. The hose coil steering has been prepared for initialisation of external aspiration. Once the hose has been rolled out, a start signal is provided. When the hose is rolled back up, this signal is deactivated. If several hose coils are connected to one and same suction device, this is deactivated as soon as the last hose has been rolled up. 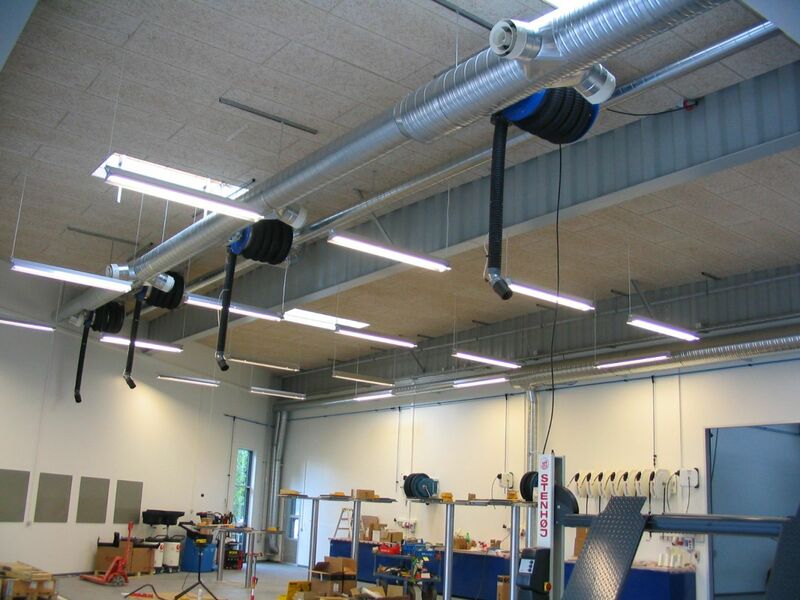 Against a small additional charge, an external indicator lamp, which is installed in a visible place, may be mounted alongside the hose coil steering unit. This indicator light shows whether or not the aspiration function has been activated by the relevant hose coil. Standard Prima-vent hose coils feature flexible hoses that may be driven on.